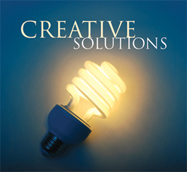 Balsley's top-notch art department can professionally design your brochures, newsletters, and direct mail pieces. We also offer complete in-house mailing services to help speed your project along while receiving maximum postage discounts. And of course we produce letterheads, envelopes and virtually whatever is needed to communicate with clients, employees and vendors. To learn more give us a call.